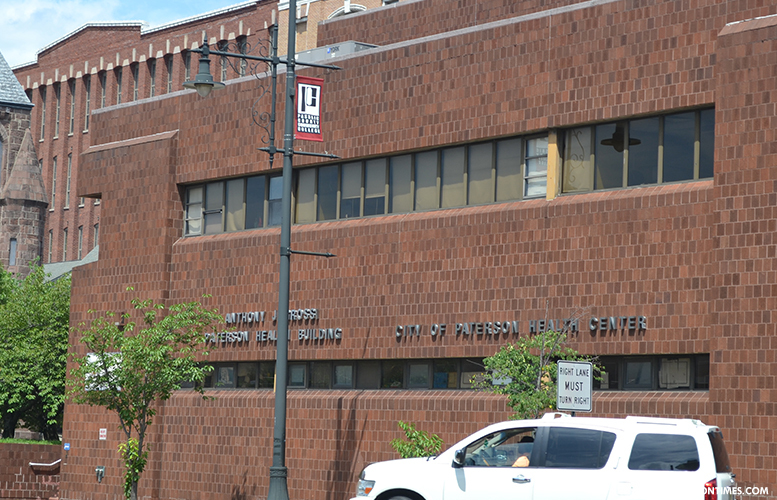 The city council raised further doubts about a $3.74 million contract that would create a mental health clinic inside the second floor of the Paterson Health Department. Council members held a discussion with Andre Greer, founder and executive officer of Future Projects LLC of Union Avenue, on Tuesday night after voting down the contract last week. “We’re fully equipped to do the job at hand,” Greer told council members. He said his firm has been providing counseling services over the past 16 years and has offices in several counties in New Jersey. Kenneth Morris, councilman at-large, said the job at hand may be much different than what Greer’s firm has been doing. He asked whether the company has a state licensed clinical psychologist. Greer said the company has an individual with a family counseling license. Morris said there’s a big difference between clinical psychology and family counseling. “If we weren’t a viable company we’d have been shut down long time ago,” said Greer. Other council members raised concerns about having mentally ill individuals coming to the health department. I’d be worried if I worked in a place where mentally ill people were visiting, said Tavarez. Greer said his company would provide additional security to what exists at the health department. Greer said not all of those who will be served at the mental health clinic are suffering from schizophrenia. He engaged in a testy exchange with Tavarez. Morris said he did not think it wise to “co-mingle” activities at the health department which provides residents with a variety of services. He said mental health services are usually provided in a location that is focused on that single service. This is done to protect others and ensure privacy to those seeking the mental health services, said Morris. “I don’t believe the health building is the right place for it,” said Morris. Greer repeatedly said he was a Paterson resident and his company is headquartered in the city. In fact, some health department employees have expressed concerns, about the program. Health director Donna Nelson-Ivy though said her department employees are “excited” about the program at the last meeting when the contract was rejected. Nelson-Ivy did not return a call for comment on Wednesday morning. Morris also questioned where the money would come from to fund the program. The city has set aside $250,000 in community development block grant (CDBG) money for the program. Nelson-Ivy said other funds would come through reimbursements from insurance companies. Business administrator Nellie Pou said the program will be grant funded. She indicated the city would allocate more CDBG money in the life of the five-year contract to keep it afloat. Morris, who works as the vice-president of external affairs in St. Joseph’s Regional Medical Center, said the program may not generate enough by billing insurance companies to be sustainable. He said Medicaid is switching to a fee-for-service model which will “severely limit” any revenue coming through billing. There was also the issue of Future Project LLC being the sole company to respond to the city’s request for proposal (RFP). “I’m flabbergasted no other licensed mental health provider in New Jersey would respond to this RFP,” said Morris. He thought the value of the contract would have attracted many more proposals mentioning a typical mental health provider generates about $200,000 in revenue a year while this contract gives the provider $307,000 for the first year, $896,000 for the second year, $871,000 for third year, $846,000 for the fourth year, and $821,000 for the fifth year. “I don’t fault you for being the only company to submit a proposal,” said Michael Jackson, 1st Ward councilman. He said the city could run the program for a year and discontinue it if it does not work out. There’s no one in the city to monitor this program, said Morris. I don't understand where the opposition to this is coming from. Will using the health department as a clinic prevent it's use for some other purpose? What does Councilman Morris mean when he says the city does not have anyone to monitor the program, doesn't the city pay a health and human services director? I would like to know what the cons are, particularly since the only ones mentioned in the article appear to be people's stigmatizations against people with mental health issues. "stigmatization against people with mental health issues"…This is the feeling I'm getting from the article. Those in opposition are painting a nasty picture of people with mental health issues. If they are that "dangerous" while getting help, then what do you think of them when they are not? Why not propose a "better" location if that is truly the issue? Exactly. It's ok to leave them out on the streets, but just don't bring them to where we have to work. There may be better arguments against the clinic, they're just not listed here.